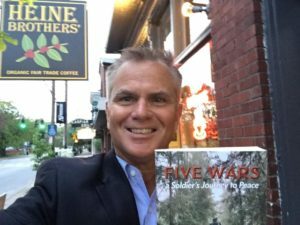 FIVE WARS: A Soldier’s Journey to Peace is the memoir of a 29-year Army veteran with two tours in Iraq and one each in Afghanistan and Bosnia. Johnson weaves stories over his lifetime — from basketball player growing up in southern Illinois to Army Colonel and combat leader — and finally, to husband and father who failed to see how war had changed him until it was almost too late. For those of us who desperately want to tell our story, Cathy Fyock helps make our dreams come true. To order Five Wars click here.